I’m not going anywhere, but I’m not exactly doing much with the blog at the moment. And I feel terrible about it. But frankly, the sky is falling here at work and I’ve got my hands full. In fact, in the last two days I’ve done about 130 zahm/air samples in an effort to suss out some aggravating packaging issues, and this is on top of my regular duties: taste panels, meetings, etc. So I haven’t forgotten about you, dear readers. I think about you every day, and about how you must be yearning for new material. I’ll try to get something out soon, but I can’t promise that it will be as quick as you’d like. PS: “Zahm/air samples” refers to the Zahm-Nagel device used to test for carbonation and headspace air levels in packaged beverages, in case you were wondering. In lieu of the normal training session activities that I normally give my panel on Thursday mornings, I decided to switch it up a bit today and present them a number of IPAs to judge. Each one was purchased from a local grocery store or specialty beer/wine store, and was tasted blind by the panel of 11 tasters. I asked them to throw out any term or descriptor they could think of, and when we finished with that I went around the room and asked them express their preference for each sample on a 1-10 scale (10 being the best beer they’ve ever had). Below are the terms that were used for each sample, as well as the average rating and the range of ratings given for that sample. I’m assembling them here in order of “worst” to “best”. The spectrophotometer is among a small set of tools and equipment that are essential for a quality control lab to be adequately productive and accurate in a brewery setting. 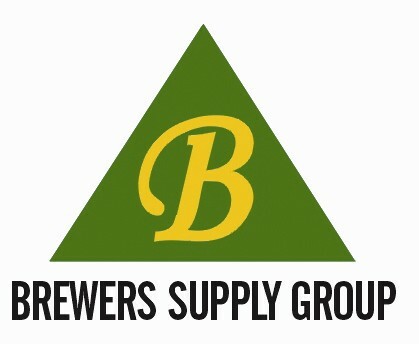 The reason for this is the BU assay which, apart from the HPLC, offers the best and most direct way to analytically measure the bitterness of beer that is available to brewers today. Relative to HPLC, the BU assay lacks precision, accuracy and sensitivity. But what makes it appealing are a number of things, foremost being the price: a couple thousand dollars can net you a new UV/Vis spectrophotometer and some supplies, whereas an HPLC can be an order of magnitude more expensive. Convenience, simplicity, and to some extent reliability are also among the benefits of this method, since HPLC, indeed chromatography in general, can be fickle and prone to error if rigorous procedures are not followed. Here, we’ll explore various aspects of the BU assay, including its origins and the fundamentals behind it.